As Hōkūle‘a continues the Worldwide Voyage, she weaves a global network of people devoted to the practice of Mālama Honua, to care for our island Earth. 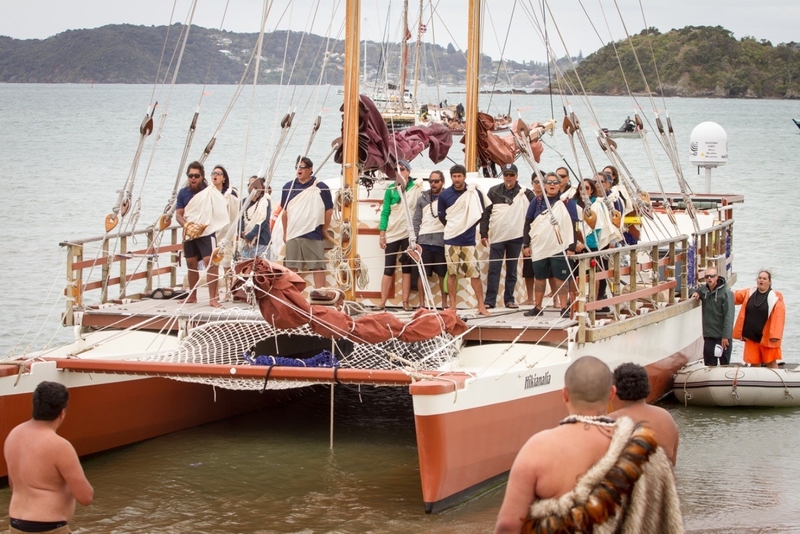 Last fall, several hundred greeted Hōkūle‘a as she made landfall in Waitangi, Aotearoa. Aotearoa is the Māori name for New Zealand, meaning “the land of the long white cloud.” It had been more than thirty years since the canoe had first sailed to Aotearoa, tracing the migratory path of the Polynesians who first settled the Pacific. 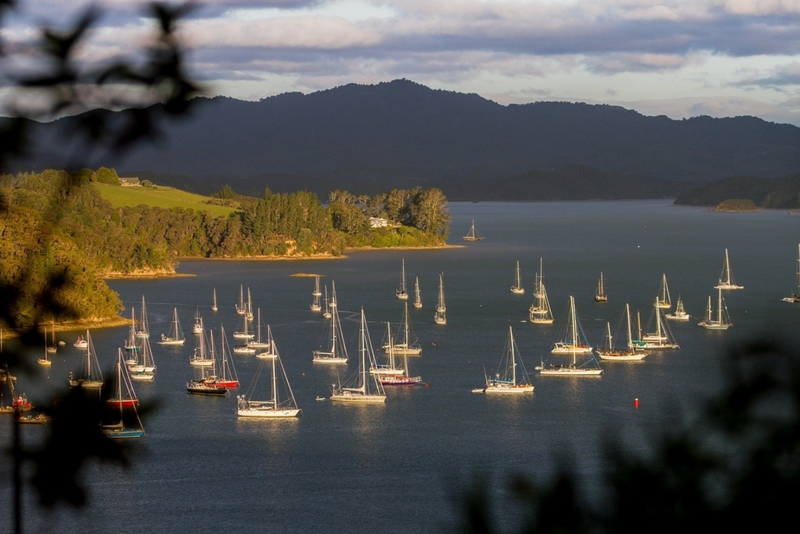 At the time of that first landfall in 1985, the sight of the majestic canoe sailing across these waters inspired a local leader to name the Hawaiians the Sixth Tribe of Tai Tokerau, the Northernmost land of New Zealand. 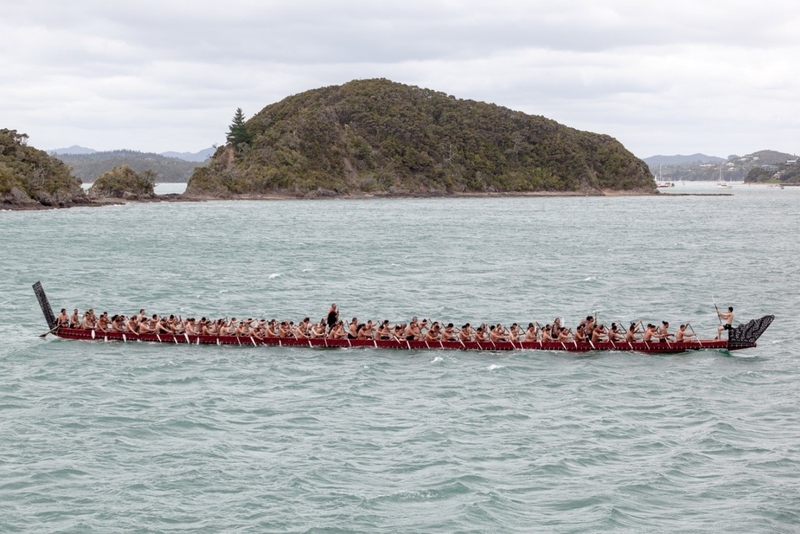 One of the several hundred Māori who most recently greeted the crew was Mike Smith, a member of the Ngāpuhi people. His great-great-grandfather was the chief who helped build Te Tiriti o Waitangi, the marae, where a tribe performed a fierce haka for the captains and crew. As an environmental activist, Mike works amongst many tribes throughout Aotearoa—keeping them abreast of concerns that undermine the health of their oceans and lands. 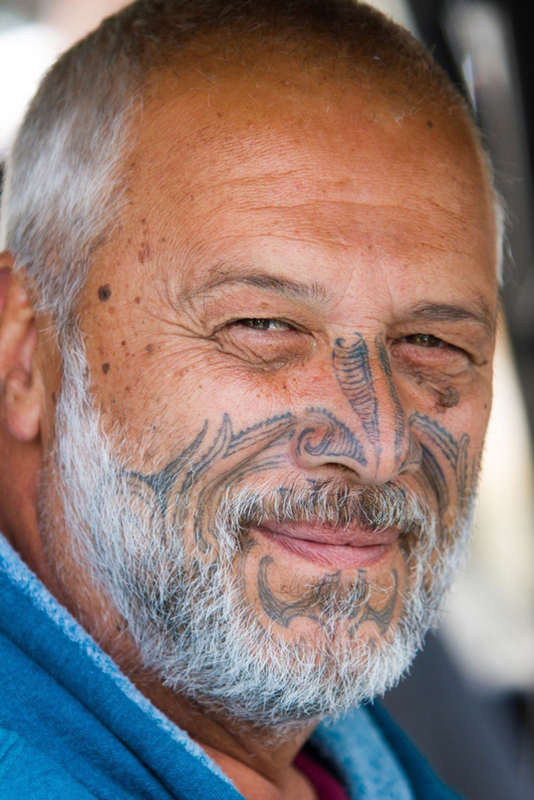 On a rain-whipped afternoon, Mike sipped tea, sitting in the driver’s seat of his motor home parked at the marae. For several weeks, Mike, along with his partner, Hinekaa Mako, remained available to the crew for anything they would need, be it a tow to a nearby dock, or a song to welcome them back to their shared Polynesian homelands. 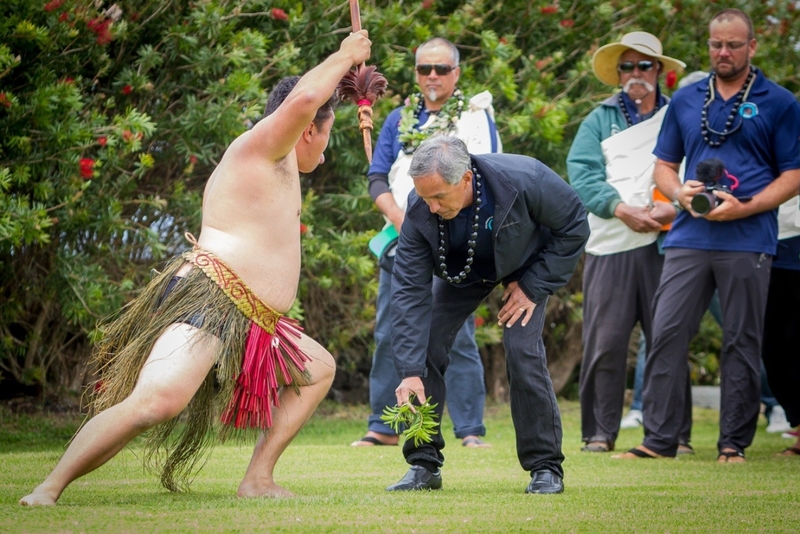 Mike talked about the Māori practice of Mālama Honua, while Hinekaa listened nearby, in their one-bedroom motorhome that runs on LPG biofuel—no emissions. 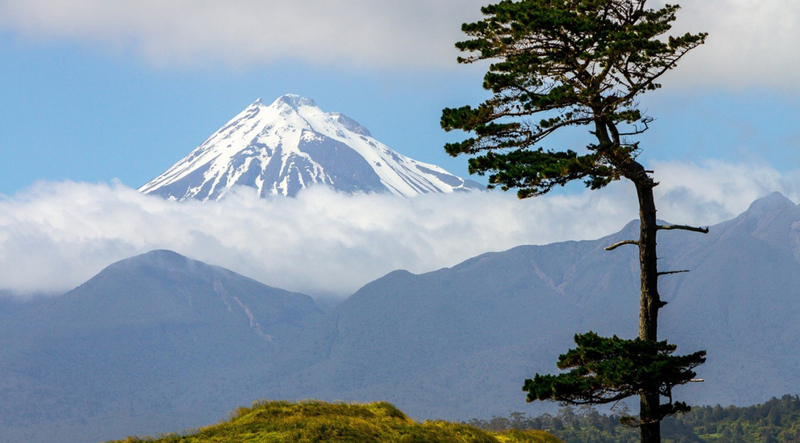 In the matrix of Māori laws, the highest form of law is nature. It’s represented by how we deify our ocean—Tangaroa, god of the sea, Rangi-nui, Sky Father, and Papa-tū-ā-nuku, the Earth. Caring about the environment is part of that matrix of our culture. It is the overarching set of rules we live by. 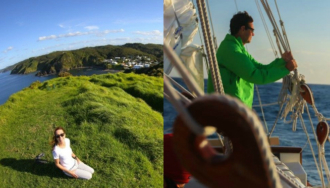 There’s a customary Māori practice—your first fish caught is always returned back to the ocean. If you catch another, that one is for you. It’s a practice in sustainability. It’s a practice in not being selfish. Our ancestors lived close in harmony with nature because they had to. You had to really respect those things and not abuse them. It had a spiritual element to it, of course. But it wasn’t just that. It was a very pragmatic choice that you had to make. If you polluted your water, you died. If you ate all the fish in your ocean, you died. If you cut down all the trees, you died. 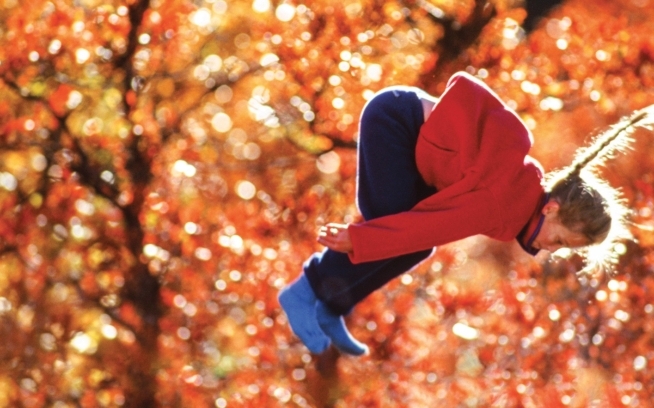 You can’t do anything that is inconsistent with nature. The environment is the framework in which we live, and unless that framework is healthy and correct, then all our other issues, social or otherwise, are almost meaningless. Along the East Coast here, Māori have a deep relationship with the whales. Paikea, an early explorer, was said to have come here riding on the back of a whale. When whales migrate from Rarotonga, they swim along the Kermadec Trench—a crack in the earth’s surface [where] over fifty underwater volcanoes line the way between the Kermadec Islands and Aotearoa—one of the longest underwater volcanic arcs on the planet and the deepest trench in the Pacific. Follow that and you pop out here. It’s the same path Hōkūle‘a sailed to get here. When you follow that, we call it, “riding the whale trail.” When the whales migrate here each year, you can see them coming, like a herd on the horizon. Our ancestors had intimate relationships with whales. Whales are sentient beings. We see them as our cousins. Anything that would guide you across the Pacific to another country, to another land, you considered your kaitiaki—your guardian, guiding you and protecting you. And if you honor it, it will look after you and get you to where you need to go. In a sense, this creature is protecting you from being lost. With deep-sea oil exploration, they use seismic testing to explore the potential in that area. The oil companies say this testing doesn’t bother you in your home. But what about the whales in their home? Seismic testing is loud. It’s invasive. It’s a hundred times louder than a jet engine. It’s so loud it can penetrate down 3,000 meters of sea, then go down another four kilometers through the seabed and then bounce back up and be collected by the hydrophones. It can deafen whales. It interferes with their ability to navigate and communicate with each other. To escape the sound, they’ll surface immediately, and get the bends and die. Or they’ll distance themselves from the sound. When the sound goes into shallow water, it dissipates. The whales will then move to shallow water, seeking to escape the noise, and run ashore. The government is talking about opening up more deep-sea permit areas. They have divided the marine area into blocks and made it available to all companies to tender for permits to explore that area. Right now, the government has allocated two areas for exploration—the Caledonia basin and the West Coast basin. The whales’ migration path from Rarotonga to New Caledonia is right in the area and at the exact time when they plan to begin seismic testing next month. Before they begin seismic testing, they are supposed to do a baseline survey—to establish if any marine mammals are in the area. 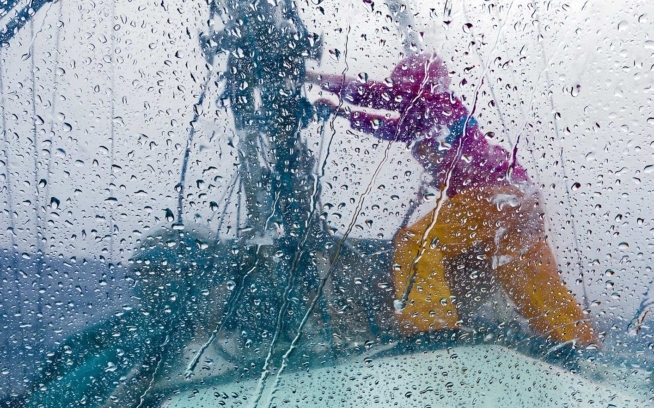 If there are, under New Zealand Marine Regulations, you are not allowed to do any testing. There are supposed to be marine mammal observers on board to make sure this doesn’t happen, but who’s to know? We’re an island people surrounded by water. It is our place. It’s our home. That’s why we’re here for Hōkūle‘a. She’s reviving those great traditions of our ancestors. She’s reviving the depth of knowledge we had about the ocean and the environment and the rules of ancient navigational wisdom. It’s not some new-age spirituality. It’s old-school survival. The end result is an intimate knowledge of those elemental forces and a reverence for them. My hope is for people to live simpler lives. We need to get back to the state of grace that all of our people had at one time. Not just native peoples. Everybody. Native Hawaiians Nainoa Thompson and Kālepa Baybayan and the rest of the Hōkūle‘a team have been honored as nominees for the 2017 National Geographic Adventurers of the Year award. 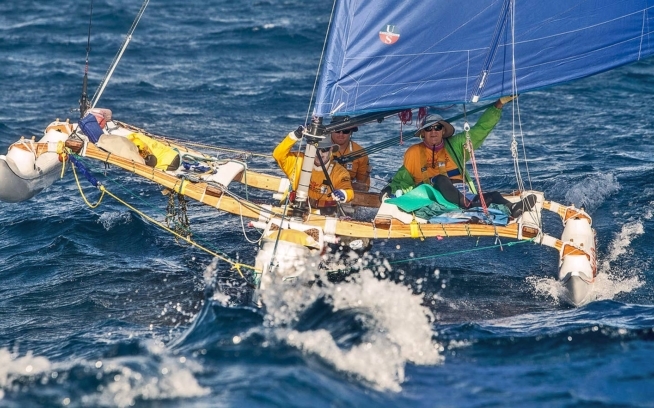 The Hōkūle‘a team is comprised of celestial circumnavigators who have embarked on a four-year ocean journey in the famed Hōkūle‘a voyaging canoe guided only by the stars and the belief that Polynesian culture should not be lost to the wake of modernization. In the process, they ignited a cultural restoration in Hawai‘i and taught a new generation of adventurers how to navigate by the stars. Online voting for the People’s Choice Adventurer of the Year is now open and runs through Dec. 16, 2016. Fans can vote every day for their favorite honoree.